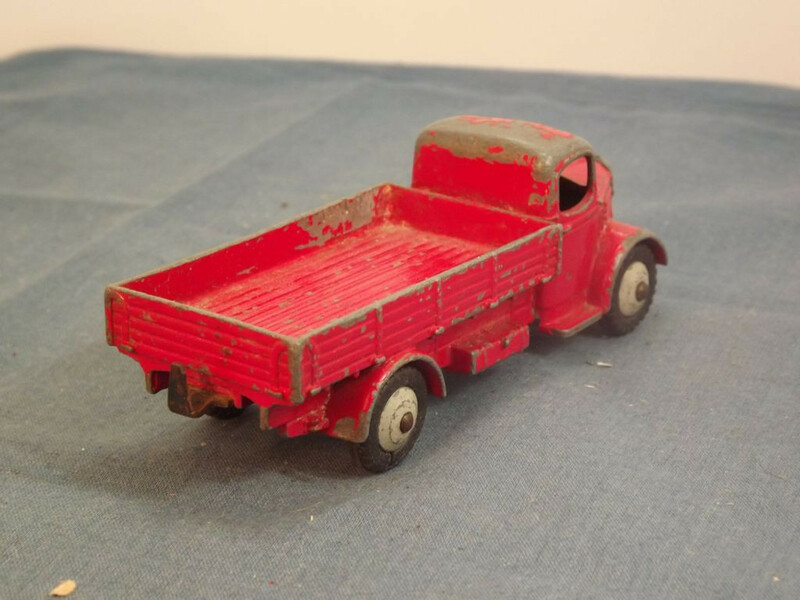 This model is the Dinky 413-G-1 Austin Covered Wagon in Red with Light Grey Cover (missing) and hubs. All detail is cast into the body. The model has a separate grille and headlights in black that is fixed to the body casting by means of a split rivet. At the sides the engine coiver louvres, doors, door handle and chassis are all cast detail. The rear deck is also part of the body casting and it represents a typical timber sided and floored deck of the period. There is no interior or glazing. 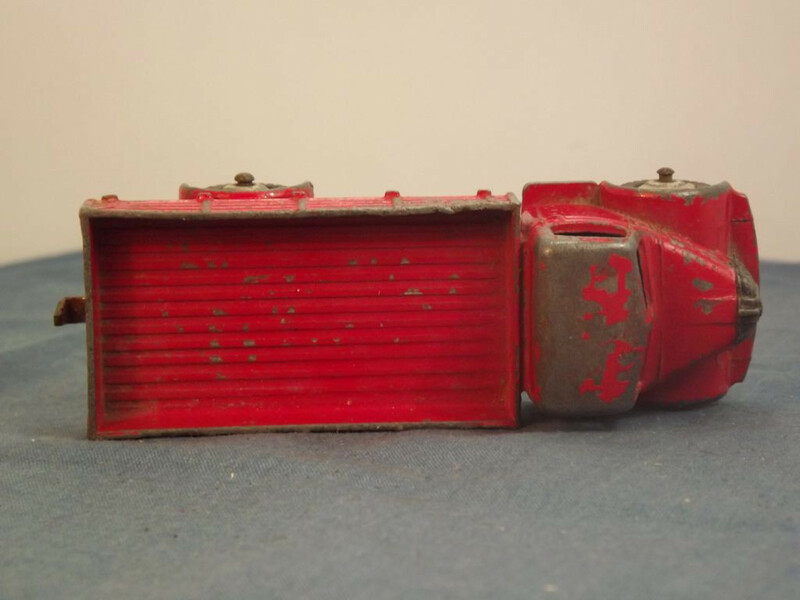 The cab base plate is tin and is unmarked. It is held to the casting by a single machined rivet. 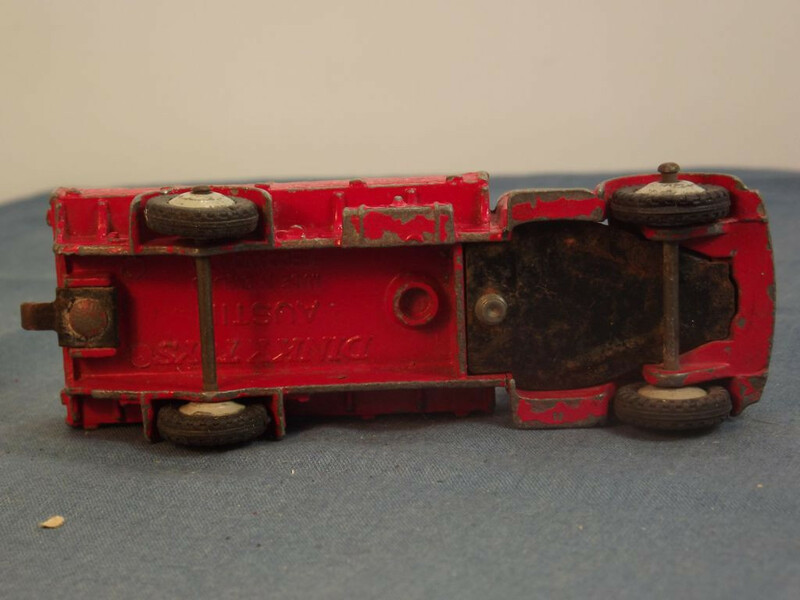 The underside of the rear body casting is marked with "Dinky Toys" in the top centre, "Austin" in the centre middle and "Made in England, Meccano Ltd" in the bottom centre on two lines. All wheels are cast metal hubs, painted light grey, with black rubber tyres. They are fitted to domed steel axles that pass through the body casting. 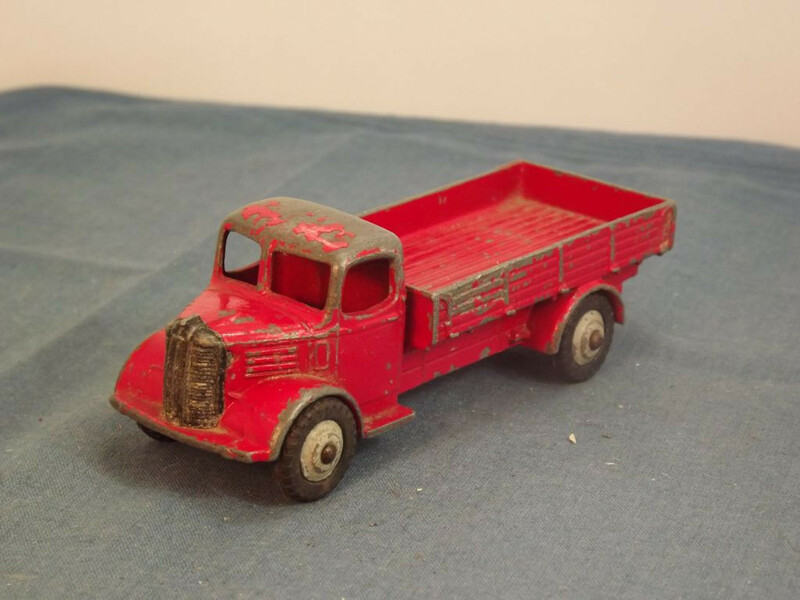 This item was originally issued between 1955 and 1960, and uses the 030n mold.